Reliance Jio is working to launch JioPhone 3 in India, according to Beetel Bite. 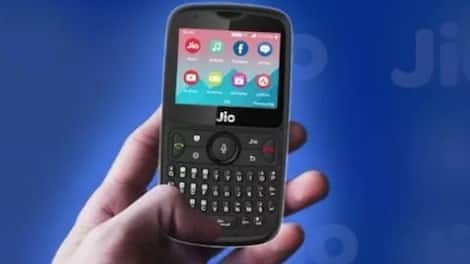 The publication claimed the next generation JioPhone would launch "sometime in June 2019." suggesting it will be a major upgrade over its predecessor. Notably, the bigger screen will help users enjoy streaming videos and watch live TV from Jio's own streaming services and other platforms like YouTube. In comparison, JioPhone 2 is powered by a 1GHz dual-core processor, paired with 512MB RAM and 4GB of internal storage (expandable upto 128GB). The report suggests that the phone could either come with a "full-fledged version of KaiOS or a lighter version of Android called Android Go." According to Beetle Bite, the JioPhone 3 will be priced at Rs. 4,500 - a significant uptick over JioPhone 2's price of Rs. 2,999. The report further states that the company would start accepting pre-orders in the month of July and deliveries will commence in August. Naturally, the phone will be available via Jio stores, Reliance Digital stores, and Jio.com.